McNeela Instruments are traditional Irish music instrument specialists. They provide the Irish traditional music community with flutes, bodhráns, concertinas, whistles, banjos, bouzoukis, mandolins, octave mandolins, harps, fiddles, guitars, and accessories. Founder Paraic McNeela has the music player's needs and wants in mind when developing new products - striving for stop-in-your-tracks products and memorable “wow” moments of consumer engagement; his main purpose being the supply of premium instruments which produce superior sounds at affordable prices. McNeela Instruments are a family run business. The McNeela family, originally from Mayo, grew up in East Wall, Dublin City. There are four boys in the family all with a great interest in traditional Irish music. It all began when Paraic, the third son, crafted his first bodhrán in 1978. He was always interested in being a quality craftsman and, as he also loved Irish traditional music, he decided to combine his two passions, woodwork and music, to make bodhráns full time. He started making bodhráns professionally in 1979. His father owned a newsagent in East Wall and Paraic sold his first products from there. At this time, bodhráns were relatively new to the market however, as traditional music became very popular, demand grew for his instruments. Paraic began selling his bodhráns into music shops and eventually expanded into supplying other traditional instruments. Paraic now works with his brothers Rory and Seán, and along with the invaluable help of Vivien Pilson, they export Irish traditional instruments all over Ireland and internationally. 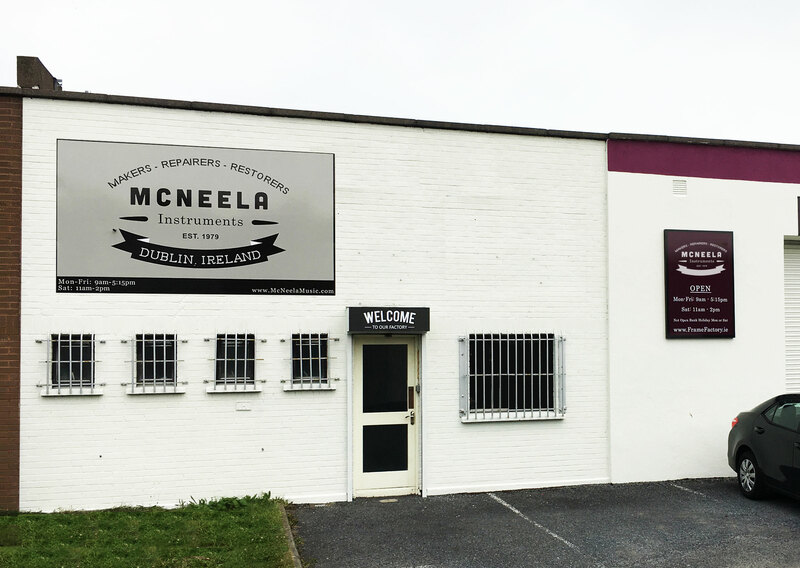 McNeela Instruments are proud of their development of new Irish traditional instruments. They experiment by trying different materials, testing a new shape or working with a new part manufacturer. It can take years for a new product to make it to market; from conception to final manufacture. The very popular Wren Concertina and Phoenix Concertina took five years to develop. Paraic is now working with John O'Brien making a brand new premium low whistle using the latest in Swiss precision engineering. When handcrafting and developing new products the main objective is to make strong sounding, reliable products and in order to achieve this nothing can be rushed. As McNeela Instruments grew they added more products to their collection. They are now proud to be a one-stop-shop for everything traditional music related. 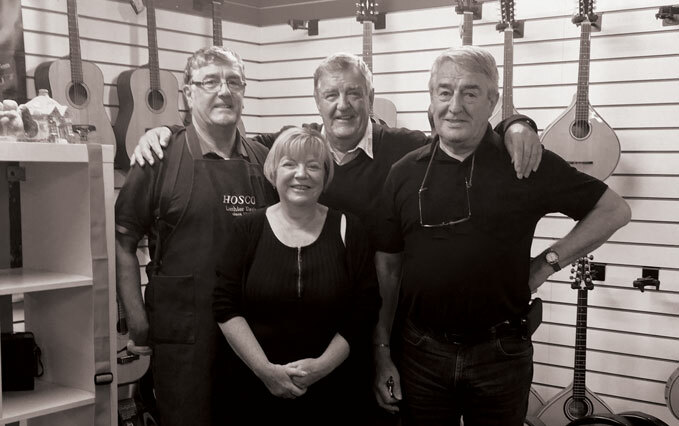 They have their own line of products including McNeela Concertinas, Flutes, Violins, Mandolins, Bodhráns and they also supply a range of products from other makers such as Des Seery Flutes, Roy McManus and Tony Dixon Whistles. We have many more instruments that are not displayed on site so if you can't find what you're looking for please contact us. And lastly we operate an instrument repair and restoration service. If you live in Dublin why not visit us at our factory showroom in Baldoyle Industrial Estate. We are situated next to the Frame Factory Frame Factory Picture Framing we'd like to give a quick shout out to Dave, he is probably the best picture framer in dublin, if it's custom framing or you need to frame a jersey this is the place to go.